Ideally, Sisalation should be used as waterproofing. Selecting the correct Sisalation Foil is very important as these foils or even plastic underlays need to last for many years. Sisalation is a shiny silver foil. In essence the idea of installing these types of foils in the home are beneficial to home comfort. As a result the Sisalation foils are manufactured from very thin aluminum reflective foils. The foil is laminated to various other flexible membranes, including fiberglass reinforcement and flame retardant, additives in some products to prevent fire damage. Unfortunately the lifespan as we see in many homes is not as long as one would need in a home. So the theory behind foils and underlays in the roof space is two fold. Firstly to reduce heat flow into the roof space by reflecting the heat back. 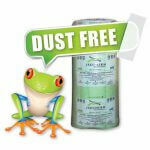 Secondly the Sisalation reduces the amount of dust that can and will settle on the ceiling space in the home. Ideally the Sisalation foil must be fixed at least 38mm below the roof. The theory is that the cavity space will restrict the heat flow into the home on a hot summers day. This is possible while the foils are still new however this will reduce more as dust settles on the foil. Additionally airborne dust and exhaust fumes will be restricted from reaching the inner roof space by landing on the foil. In the event of a roof leak for whatever reason the Sisalation foil will in most cases prevent ceiling damage as the water will flow out to the guttering. In winter the Sisalation will have no direct bearing on the internal temperature in the home what so ever. As heat in the home will rise through the ceiling space in homes that are not insulated. As a result all warm air will still be lost to the roof space. 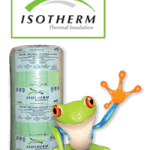 How ever in homes insulated with roof insulation the warm air will be retained indoors. 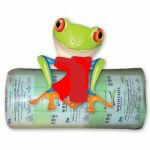 However foils or underlays will reduce the prospect of roof leaks during these cold winters. Reducing condensation in the roof is also an added benefit. On hot summer days as the sun beats down on the roof space the Sisalation reflects some of this heat away. As a result the home can be one or two degrees cooler. However having said that in homes with air-cons there will be little to no benefit if there is no ceiling insulation. Considering that the cool air in the home would then still be lost to the roof space even though the foils have made this space slightly cooler. Overall it has been established that there will be a minimal summer benefits in terms of temperature. However the benefit of protecting the roof space from rain damage is well worth the expense. Installing Foils as a form of insulation will leave you disappointing. Because foils can reflect heat does not mean they can restrict heat. 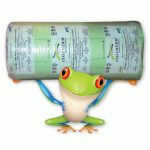 As many home owners that have their homes insulated will tell you. Remember foils are on the top layer of the roof space. Heat loss and gain is from the lower section of the roof space. 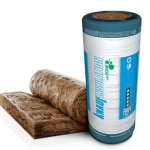 As a result home insulation installed will improve temperatures substantially. 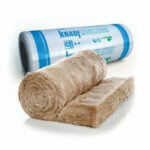 Insulation Products installed directly on the ceiling will restrict heat flow up or down. Accordingly there is a summer and a winter benefit. In fact insulated homes are known to have an improved indoor temperature of 4-8 degrees. 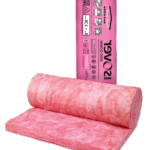 There are many ceiling insulation types that you can read up on to make an informed decision. Absolutely Roof Foils help keep the roof space cleaner by reducing the dust flow into the roof via the tiles or sheeting. Additionally there is a summer heat reduction in the roof space. And finally should your roof have a leak you will have little to no damage.